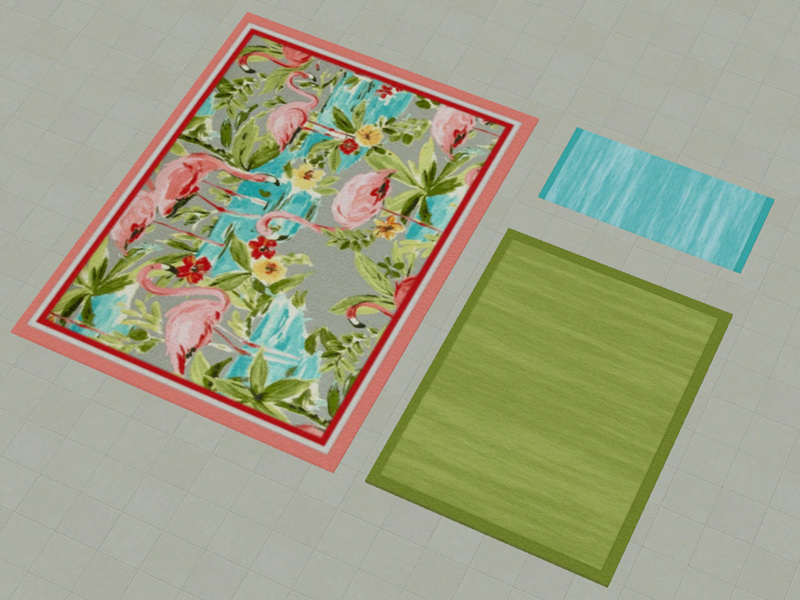 One of these days I'll do a room with just a few items, but today is not that day. 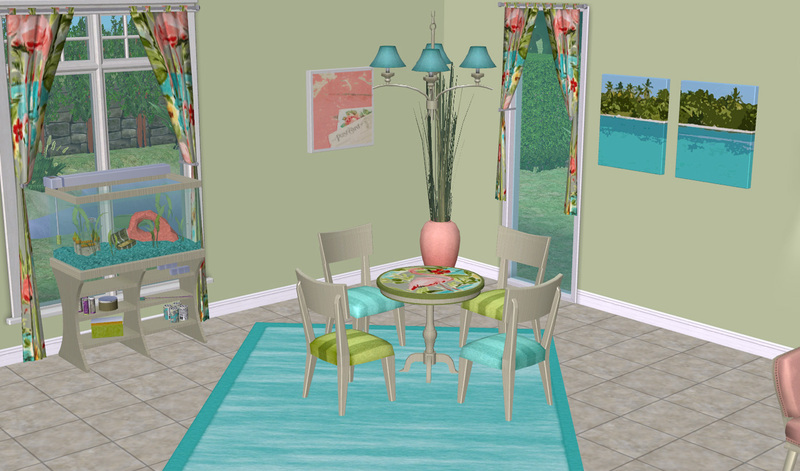 This kitchen and dining room set features pale wood bases and bright pops of pink, green, and aqua, with a flamingo motif from this colourful fabric. 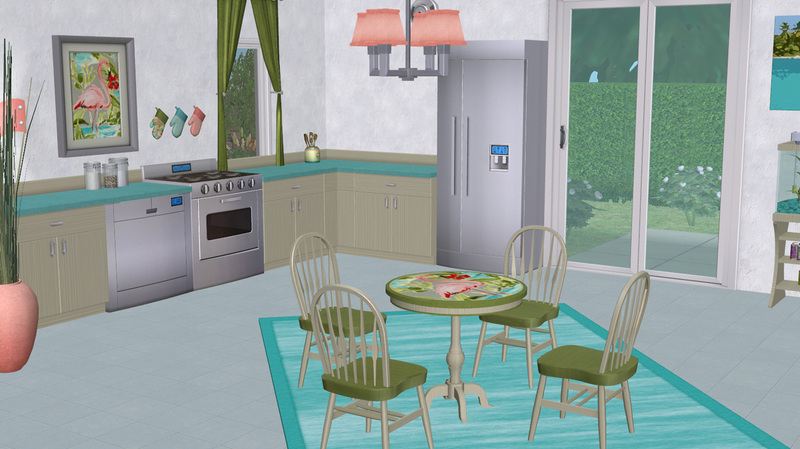 There are cheaper and more expensive pieces to suit your sims' budget (or fortune wants...), as well as base game and EP choices. 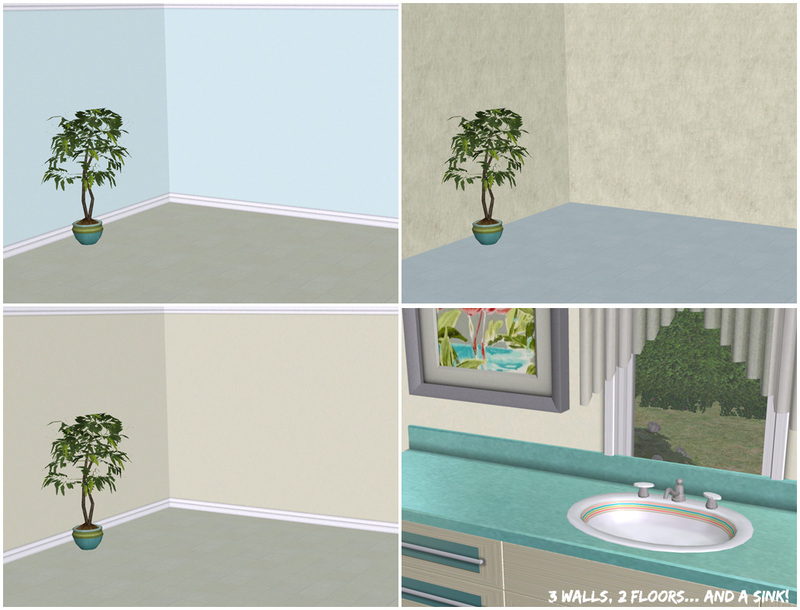 There are three walls and two floors included, plus Collection file and icon, and all files have been Compressorized. 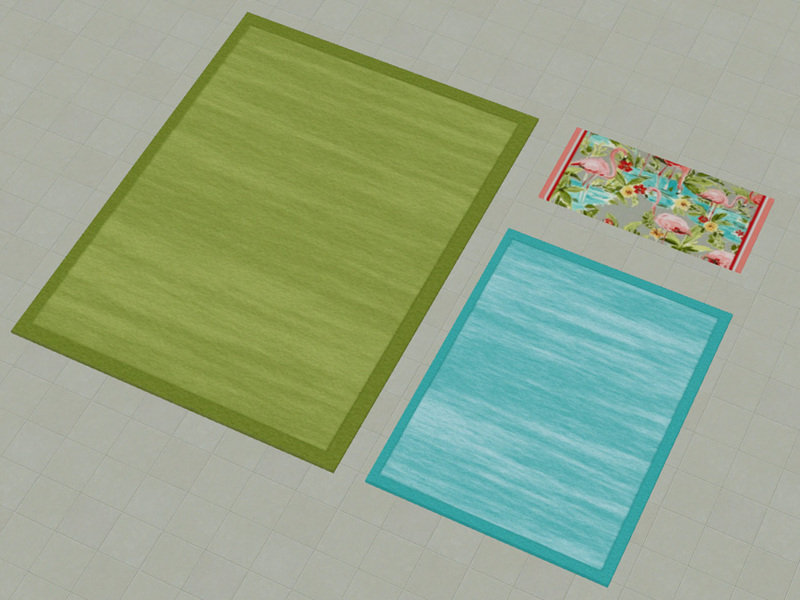 My recolours are of the 3x4 (which also apply to the 2x3 and 1x2 sizes). 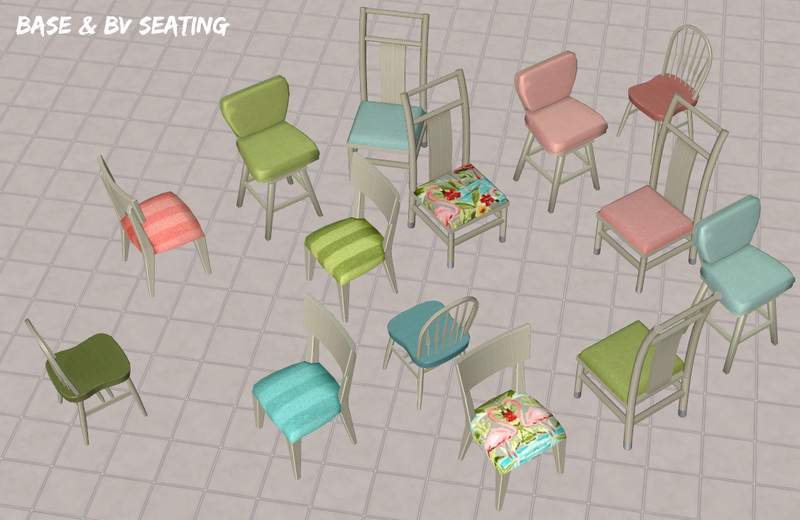 These should require base game, plus NL or a later EP. 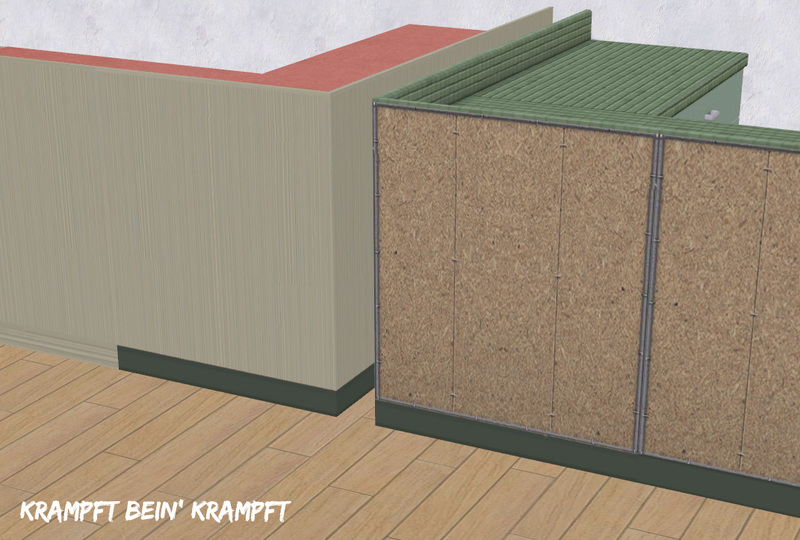 *** The Krampft Counter is a little weird by nature. 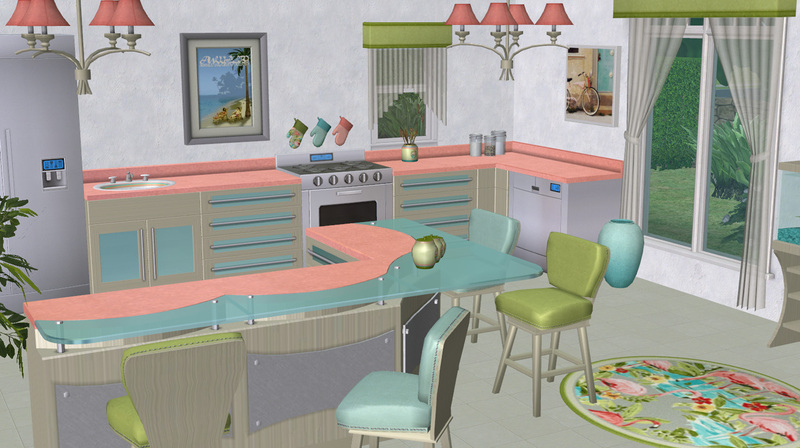 The way it's mapped, there's a stripe of "top" on the back that doesn't change as the countertop should, so I textured around the problem. 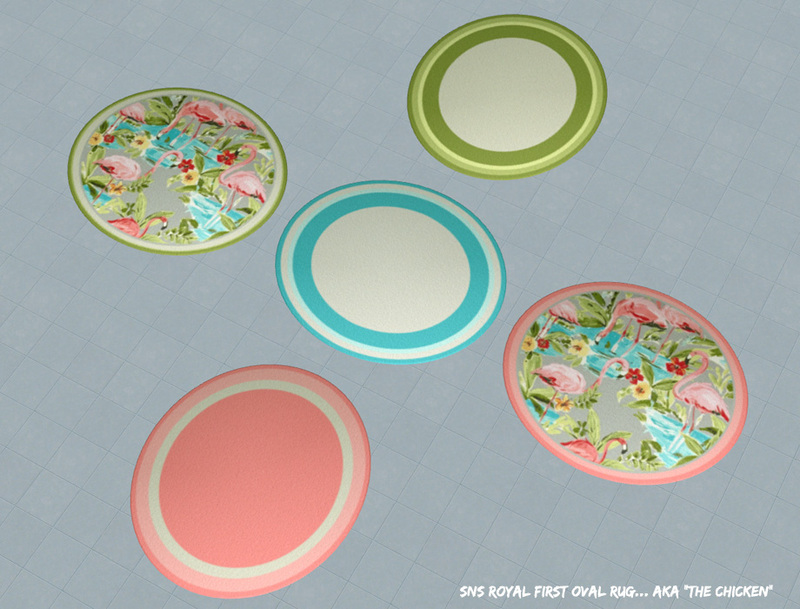 Unfortunately that means these tops won't really go with other bases, but I like the way they work here. 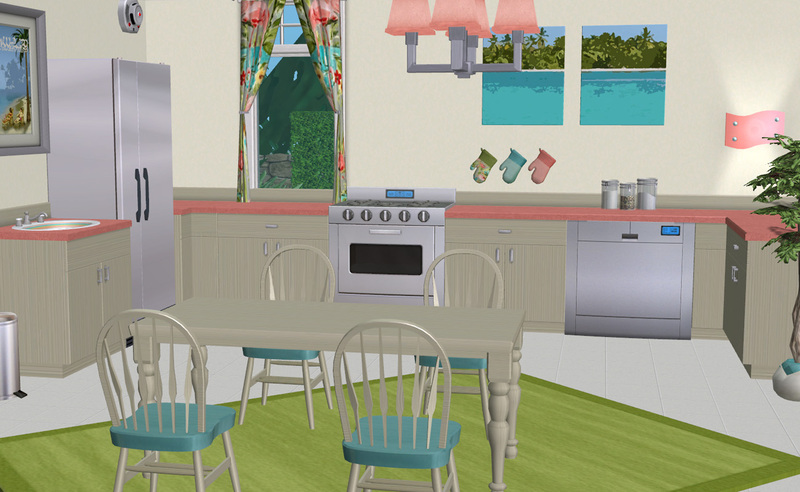 Also, as you can see in one of the pictures above, there's a black stripe that gets added to the counter when you corner it. 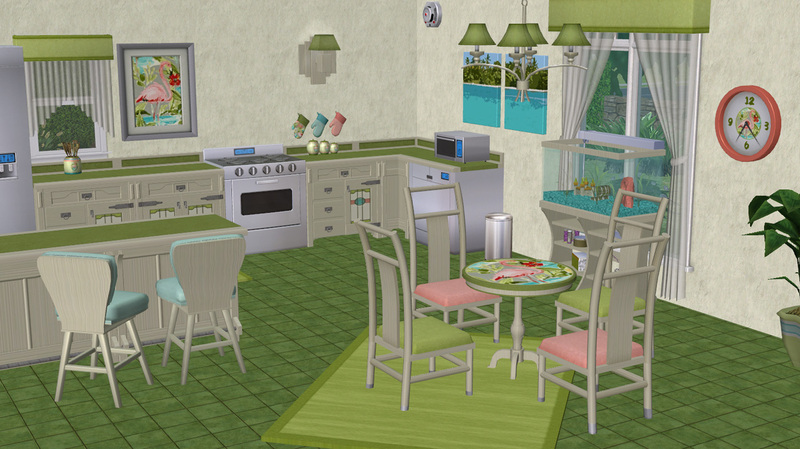 Bottom of the back, so it's usually tucked up against a wall, but I wanted to mention that it's just how that counter behaves. 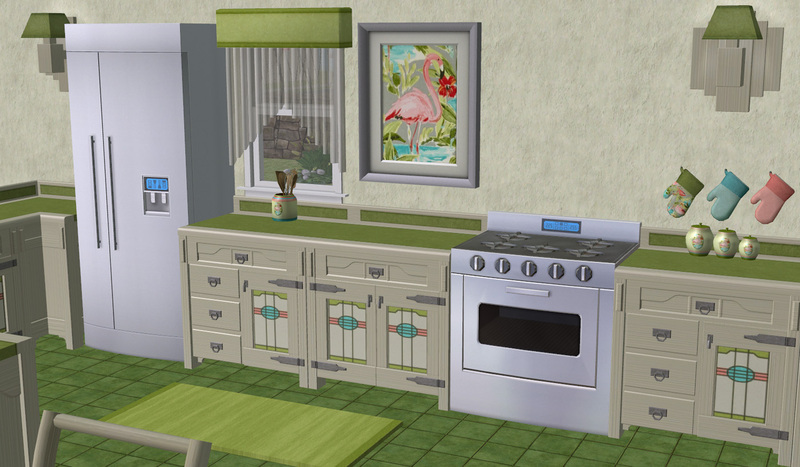 Cheap counter is cheap. 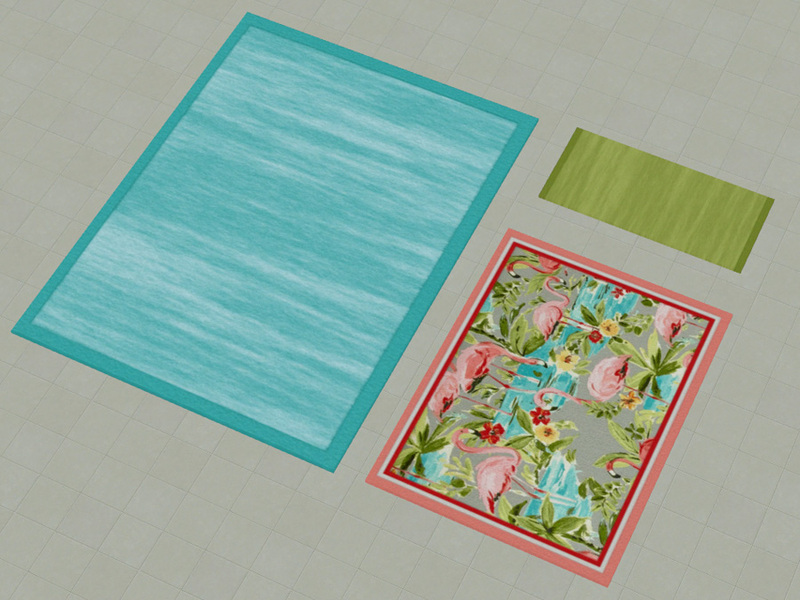 **** SNS Rug recolours have been edited to work with HL's Awesome Rug Fix. 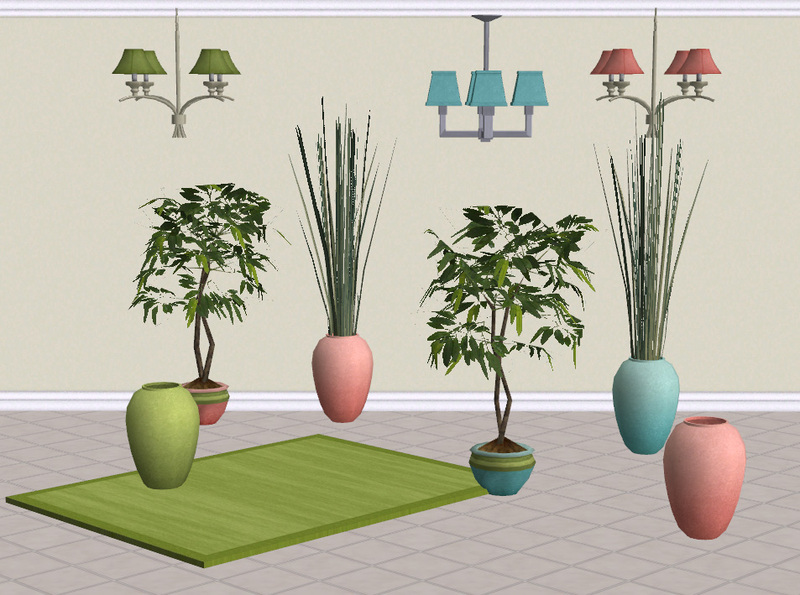 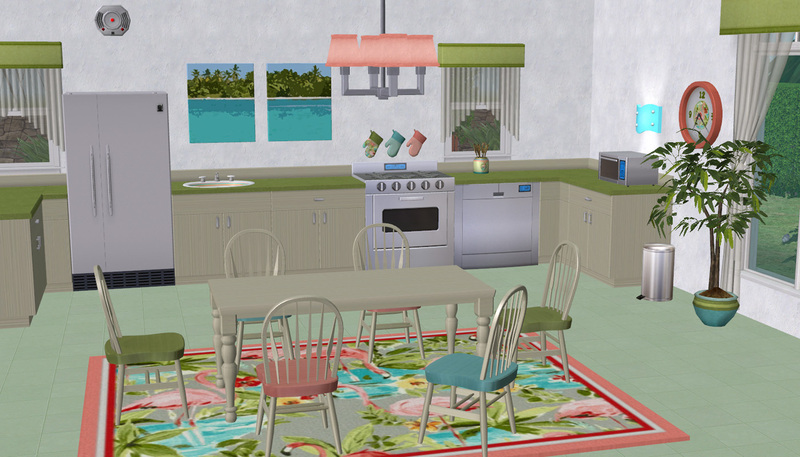 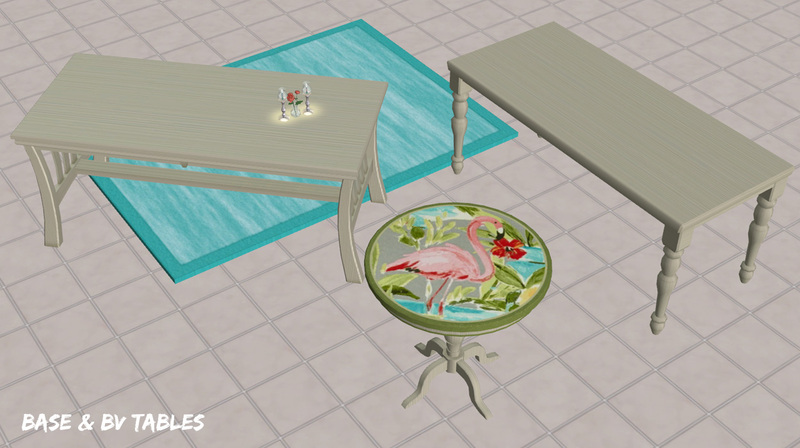 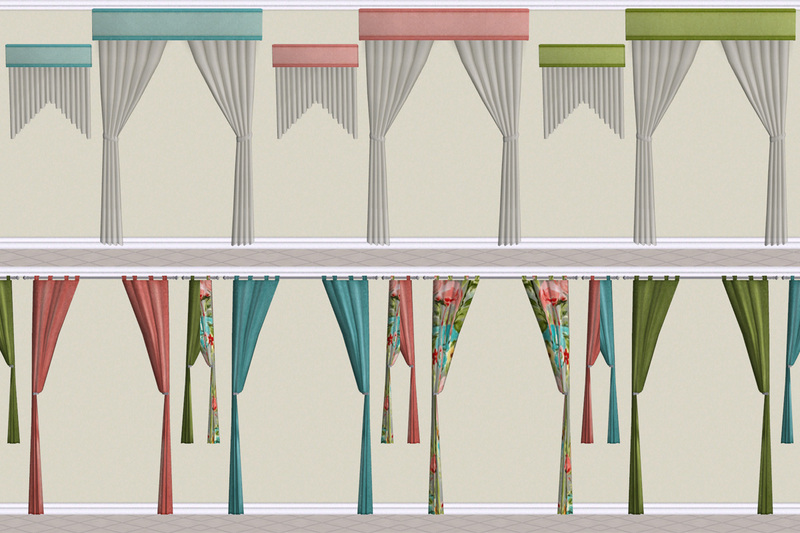 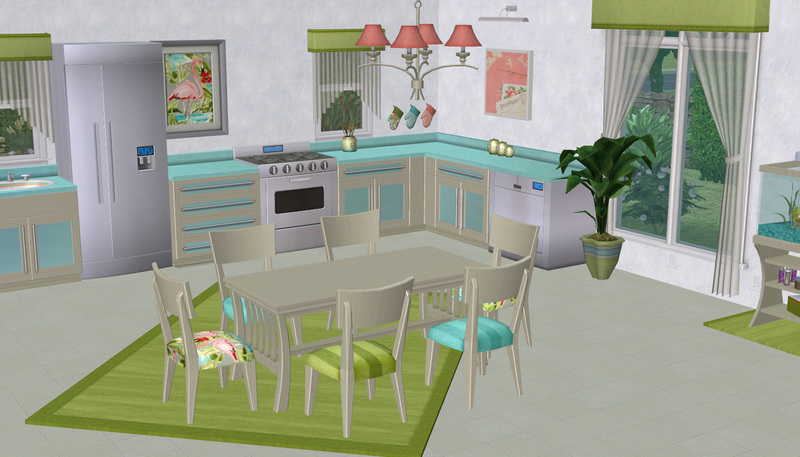 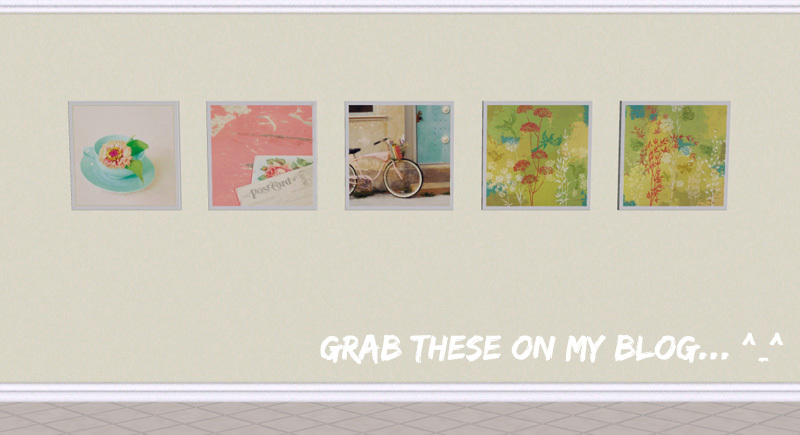 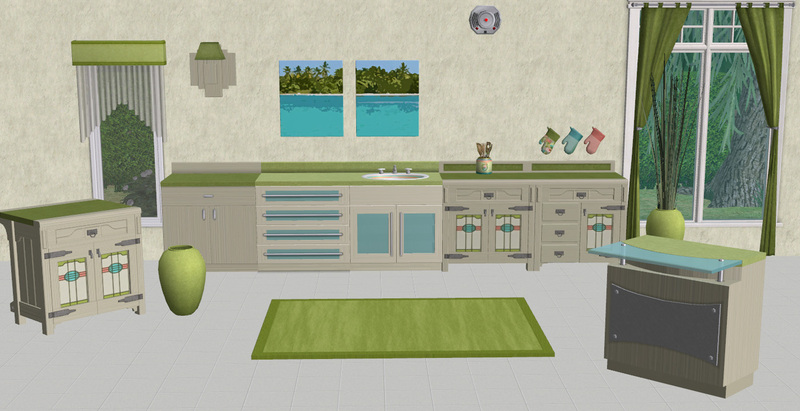 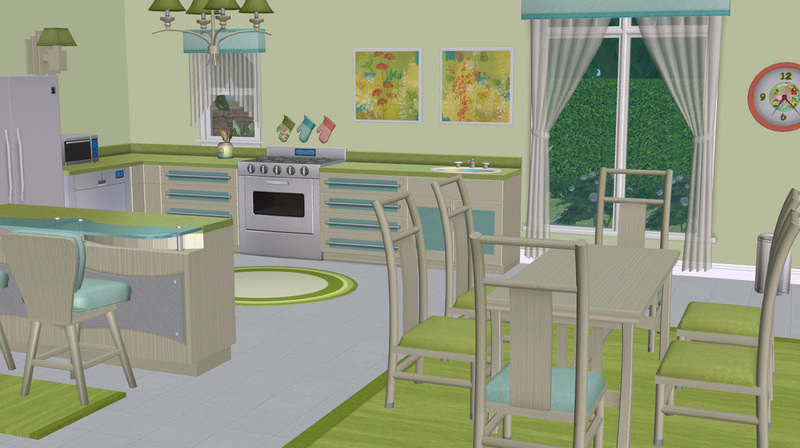 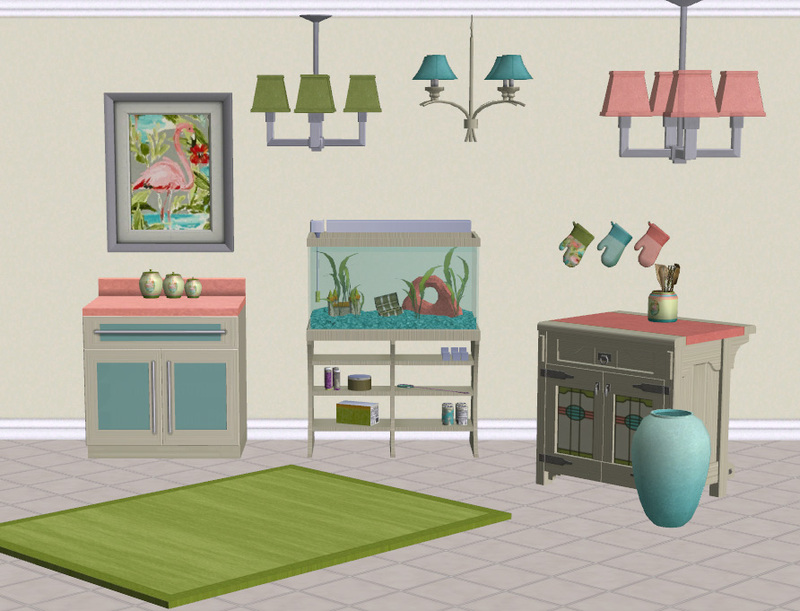 liz_kit_flamingo.rar | Description: Bright, retro kitchen and dining room in light wood, pink, aqua, and green. 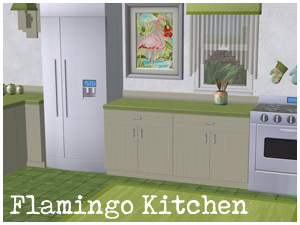 And flamingo!